One of the great things about doing this job is the chance to speak to all kinds of people. Everyone has their own story, so it’s always interesting to talk to someone new. Author interviews are fascinating learning about the inspiration behind the latest book and how it came to be written and talking to someone from TV can be fun, too. However, sometimes we speak to folk with a truly inspiring story to tell, and that is always a real treat. It happened to me most recently preparing one of the features for our current Special, when I spoke to Marianne Möller, who works for Oxfam. Shortly before her fiftieth birthday, Marianne gave up a well-established, professional career in the Netherlands to travel, learn and volunteer in overseas projects all over the world. Then, far from returning to her comfortable life in Europe at the end of her volunteering period, she chose to continue helping others as a full-time Oxfam staff member, working in disaster areas, helping to set up humanitarian operations in response to emergencies. I found her story amazing. 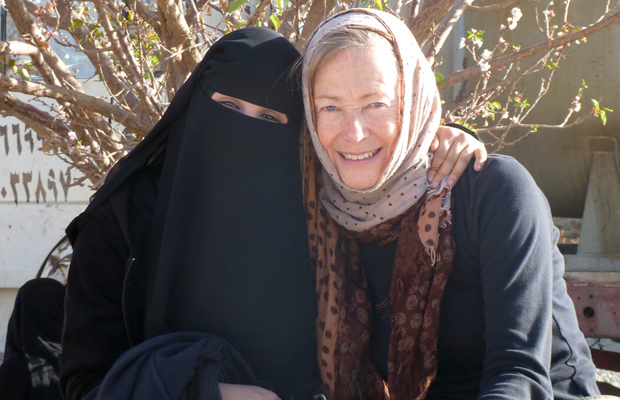 She was delightful to speak to; her happiness at her chosen way of life shone through, as did her commitment to helping others – wherever they may be and in whatever circumstances. It was a revelation to me just how much work goes on behind the scenes to make sure that, in an emergency, the people on the ground receive the right support, at the right time and in the right way, and how people like Marianne help that happen. As someone who, frankly, likes the comforts of home with clean running water on tap, the ability to head to the local supermarket for shopping and the knowledge that our wonderful health and emergency services are only a phone call away if they were ever needed, I found Marianne’s readiness to drop everything and attend the latest remote emergency absolutely inspiring. I felt really uplifted after speaking to her, and you can read her story in Special 119, on sale now.